Shortly before the release of Resident Evil 4 in the united states fans were shocked to learn certain retailers were receiving stock of a very peculiar disc. 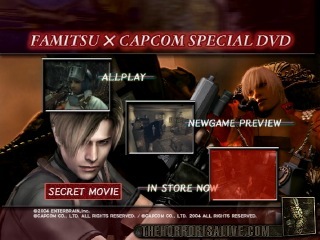 Available only to those who pre-ordered, it was titled "Resident Evil 4 Preview Disc". Given away at most Gamestops and EB Games in the states, most of the stock was left unclaimed and therefore it was decided to simply give the disc away to anyone who wanted one. This was due in part because of the short amount of time from when the disc was released to the Resident Evil 4 release. Lack of communication between the retailers and those who preordered also aided in the confusion. While most insiders in the community know of this disc, few know that there were other Demo's released of Resident Evil 4 in the United States. Less known, is the Resident Evil 4 Demo which was shipped to your home after purchasing the Resident Evil 2 pack, Pure Evil. More uncommon is the Nintendo Kiosk demo's which also contained Resident Evil 4 demos. So how many demo's are known, and are any of them different? This article hopes to answer those questions. We will start with the first disc that was released, the Preview Disc given to those who pre-ordered.  "A History of Horror Prepare yourself for a scream-filled trip down memory lane as you witness the terrifying legacy of the Resident Evil series and then take your first steps into the future of survival horror. Watch the thrilling history of Resident Evil in six grisly movies, including a trailer for the forthcoming Nintendo GameCube release. Best of all, take control of Leon as you try to survive a shocking playable demo of Resident Evil 4 that'll be sure to take your breath...and maybe life...away." as well as a playable demo of Resident Evil 4. This would be the first introduction to Resident Evil 4 for most USA fans*¹. The second disc we will be focusing on is the Pure Evil release. If you recall, Capcom released a bundle pack named Pure Evil which contained the Players Choice versions of resident Evil and Resident Evil 0 for the GameCube. Inside the pack was an offer to send away for a Resident Evil 4 demo. You were given a code, and a web site URL. Once visiting the site and putting in your code you were asked for your address details. A few weeks later (It turns out, AFTER Resident Evil 4 was released) people received their copies. The disc was shipped inside a small cardboard sleeve which only contained the demo itself. This was a very cheap way of shipping it which ensured the costs would not be much for Capcom to send them out. The third and Fourth demo's are essentially the same. Both were from Retailers GameCube Kiosk demos, which were handed out to stores to help promote upcoming GameCube games. Personally I have Demo Version 22 and Version 24. Both contain a demo of Resident Evil 4. There are presumably more out there which contain it, and if you have any information on which ones please let me know so I can update this article. The packing on the Kiosk demo's is very plain. With the front cover having the version number along with possibly a high profile game that was included on the disc. The back contains instructions on, of all things a tutorial on how to turn your GameCube on. The discs themselves contain a bar code and a warning "FOR DISPLAY ONLY NOT FOR RESALE". Though, this didn't stop the person whom I bought them off (Lucky us). With the packaging and descriptions of each release out of the way how will we go about comparing the disc to the other releases you ask? The various methods used are bordering on a gray area in the legal world, so suffice to say I was able to get the ISO's of each game onto my hard drive and do a complete comparison of each and every file. What I found was that every disc, while somehow being different, be it packaging or other demo's bundled contained the exact same demo build. Thus finally ending any claims that more than one version was released in the USA. Now with the USA releases out of the way, left focus on the known Japanese releases of the trial editions. Currently there are two known releases. The first, which I am sure most of you are familiar with was released on 10/29/2004 as part of a special Famtisu issue. The issue itself contained a DVD with various trailers on it, and most importantly the worlds first public playable demo of Biohazard 4. The issue was sold out in a matter of weeks and in the wake of its success Famitsu has since released a second Capcom special magazine. Though, this version was mostly overlooked as it seems the main draw for the first release was of course the Biohazard 4 demo. The Special DVD contains some trailers worth noting, There is a Biohazard 4 trailer and a Biohazard Outbreak File 2 trailer. Also included is a Japanese trailer for Under the Skin which features a Raccoon City level in the game. All three are available for download below. The second known Japanese release was with the Biohazard Double Feature pack. Like Pure Evil, this pack included both Biohazard and Biohazard 0. The Biohazard 4 trial however is included inside the package unlike the Pure Evil release. The demo also comes with a set of instructions which appear to be the same as from the Famitsu book above. Biohazard and Biohazard Zero both come with a memory card as well. So how do these two demo's compare? They are exactly the same, file for file. The last Trial Edition we will be showing you is the Resident Evil version for the Playstation 2. Released shortly before the game went on sale it is very limited in quantities. It was given away to those who showed interest in the game at EB Games and Gamestop's around the USA. The demo itself comes in a hard paper sleeve with the final USA box art on the cover. The rear shows you some of the highlights of the PS2 port, included the new Ada missions. The disc is a DVD as well. So now that we have narrowed down all three releases to a single build we will explore each. *¹Some had chosen to import the Famitsu Capcom Special which contained a similar demo, albeit for the Japanese fans.